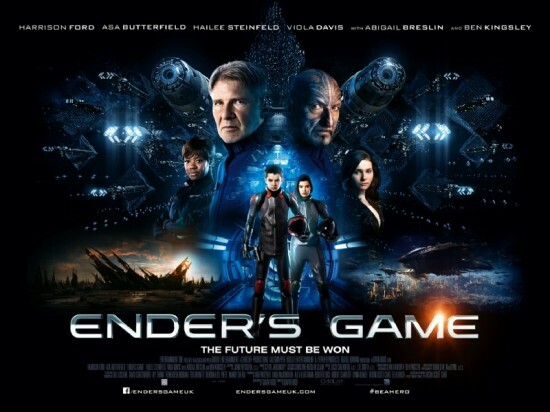 Ender’s Game, in its second week at the box office, suffered from the God of Thunder’s debut with Thor: The Dark World but still climbed up to $44M after pulling in $10M over the weekend. This coming weekend nothing too big is opening, but next week Lionsgate’s box office giant The Hunger Games: Catching Fire will blaze into theaters. Predictions for Ender’s Game were originally around $75M and the movie looks on track to do just about that. The film has performed very poorly overseas, with only $9M in box office sales to date. Ender’s worldwide take is currently at around $53M. While I was disappointed with the film and generally think it was meh, it still doesn’t deserve to be doing this terrible. That horrific abortion After Birth with Will Smith did much better overseas. I just don’t get it. I knew EG was going tank because of Thor 2 and Catching Fire. Why didn’t these fools release it in the summer as planned. Bad, bad move.